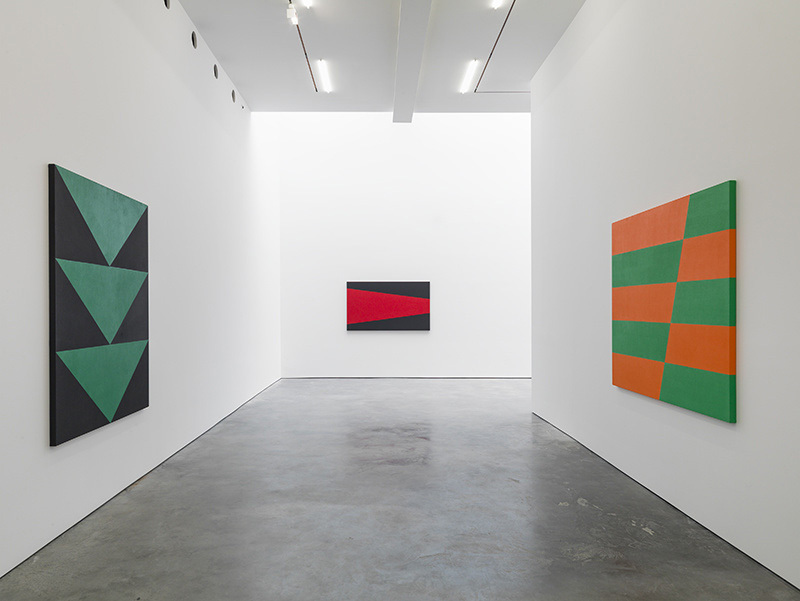 Herrera’s work has remained uncompromisingly abstract and minimal throughout her career – although the hard-edge, rectilinear qualities of her paintings are, on closer inspection, belied by their obviously hand-painted expanses of color. This show of recent work also exemplifies Herrera’s mastery of larger scale canvases, including subtle incorporations of diptych and triptych configurations. Given her stylistic connections to Latin American and European Constructivism and Concrete Art, as well as Mondrian’s Neo-Plasticism and the Abstraction-Création movement in Paris, it is telling that Herrera has never identified with any art historical grouping, even though she lived in Havana, Paris and New York in the 1930s and ’40s when many of these artistic associations were being formed. Being neither gender- nor nationality-specific as an artist, Herrera’s only true affiliation is with pure Modernism, perhaps reflecting the ethos and underpinnings of the International Style of architecture as much as any era of art production. 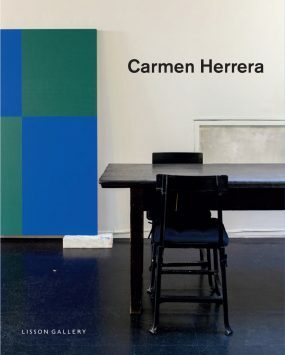 Published on the occasion of Carmen Herrera’s show at Lisson Gallery, New York, 3 May – 25 June 2016.